Our consumers remain the heart and soul of everything we do. That's why we strive to provide superior communication and support to every customer before, during and after the sale&dash;whether by phone, web, email or social media. "Share the love and success the Tacony team has for our motto: tradition, teamwork and trust." "Build business relationships that feel like family." Sold exclusively through Authorized Independent Retailers, Baby Lock offers machines to enhance the “Love of Sewing” in its customers. Koala Studios brings beauty and optimal function to any sewing room. This elegant sewing furniture is designed by sewing and craft professionals and then assembled to order by furnishing experts in the USA. Tacony is the exclusive North American distributor of Madeira premium home sewing threads. Madeira offers quality threads for all types of sewing including quilting, embroidery and garment sewing. Amazing Designs offers high-quality embroidery designs and collections for home sewers. Nancy's Notions is the place to find the most up-to-date sewing products on the market for consumers. Nancy's Notions web site and catalogs contain thousands of products including sewing books, notions, videos, fabrics and quilting merchandise. Tacony Sewing Central is run by a trained team of sales “specialists” handling over 60,000 items. It is the largest US wholesaler of sewing designs on CD or downloadable. Designer's Gallery software is an embroiderer's dream come true for adding organization, creativity and unlimited possibilities to every project. These software platforms, plug-in tool packs, digitizing software and interactive design collections provide home embroiderers with the exact software features they've been looking for. Simplicity, a line of household and specialty vacuums and accessories, is available to independent vacuum retailers, national accounts and online through Amazon.com. Simplicity Vacuums have been cleaning homes for over 30 years by providing a vacuum to fit every home cleaning need. Riccar, a protected line of household and commercial vacuums and accessories, is exclusively available through independent vacuum retailers in the U.S and Canada. Its premier uprights feature the revolutionary Tandem Air System, with a unique dual-motor technology. While the lightweight uprights lead the industry in cleaning performance and ease of use. Most Riccar vacuums are designed for durability with metal in high-wear areas, advanced filtration, lifetime belts, replaceable parts and long warranties. Tacony Vac Pros provides retailers an easy way to order all of the products and parts for a variety of vacuum cleaners. It is also the exclusive distributor of Carpet Pro Vacuums. Powr-Flite has been a leader in the commercial floor care industry for over 49 years. Powr-Flite is advantageously positioned as “the one source” for commercial floor care equipment parts, accessories and supplies. It is shipping quality commercial equipment worldwide from its headquarters in Ft. Worth, Texas. The CleanMax concept is to manufacture true commercial vacuum cleaners based on proven technology, intuitive design and field-tested durability. Using unparalleled research and design technology, and financial strength in the industry to ensure our products are second to none. With more than a million units sold, CleanMax is the choice for professionals. Tornado Industries has been a leading developer of floor care equipment since 1927. Tornado specializes in tackling the unique cleaning challenges of hospitals, public transportation, educational facilities and more. The Truvox International Ltd. Company in Millbrook, Southampton, U.K., offers a vast range of cleaning and maintenance products for hard and soft floors, including rotary floor polishers, scrubbers, dryers, carpet extractors and vacuum cleaners. Established in 1997 Tacony Manufacturing in St. James, Missouri proudly assembles vacuum cleaners for household and commercial use. Our first-hand knowledge of what makes American homes unique helps us design, engineer and assemble world-class vacuums. Founded in 1972, Mac Molding takes pride in supplying manufacturers with custom injection molding and related manufacturing services. We exceed customer expectations and are known in the industry for our efficiency of our molding processes, the skill of our team and the refinement of each finished product. Low on frills, high on durability, Carpet Pro Vacuums have been meeting both household and commercial cleaning needs at an affordable price since 2003. 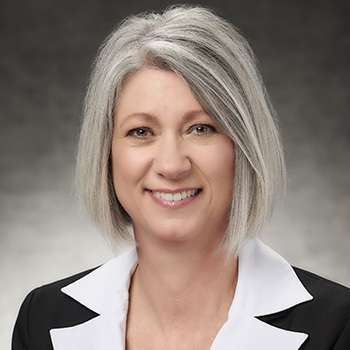 "To profitably grow our leadership position in the industries we serve"
Kristi has held positions in virtually every business unit and department, learning and growing with the business over 22 years. She's built valuable experience in strategic planning , marketing and management that has helped strengthen the company's position in the marketplace. As CEO, she continues the longstanding commitment to excellence in business and corporate culture. "Focus on benefiting the employees. The employees will take care of the customers who in turn will bring financial success to the shareholders." Grun said the products will begin appearing in a variety of big box retailers and will also include three new products including a bagless upright that is great for pets. "We've been looking to round out the Simplicity brand to include vacuums customers have been requesting and to fill a gap for products we didn't have," Grun said. "We're launching a cordless wand vacuum. It's long overdue. It's always been about finding simple vacuuming solutions for consumers." Grun stressed that Simplicity’s high-standards of quality will not change. For more information or to carry Simplicity Vacuums contact Bill Violand at b.violand@tacony.com or 813-309-0897. Simplicity Vacuums, a division of Tacony Corporation, is focused on one thing: building exceptional vacuums. Offering a full line of powerful cleaning machines with modern features, Simplicity Vacuums can be found at authorized retailers or SimplicityVac.com. In addition to Enterprise Resource Planning (ERP) and leadership, Freed’s diverse strategic and results-oriented experience includes a wide range of technological knowhow that will continue to prepare Tacony Corporation to adapt to a variety of ever-changing digital needs now and into the future. She comes to Tacony from Duke Manufacturing where she was responsible for the end to end technology for global operations. Tacony Corporation CEO Kristi Tacony Humes said Freed was a natural fit for the company. Founded in 1946, Tacony Corporation is a privately held manufacturing and distribution company that provides your world with better solutions for sewing, cleaning and home. With more than 550 associates in 12 offices around the world under the leadership of CEO Kristi Tacony Humes, Tacony’s mission is to create long-lasting relationships that are based on trust and feel like family. For more information, visit www.tacony.com. 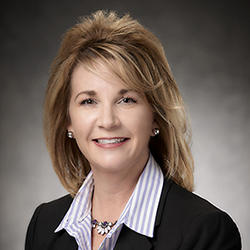 Tacony Corporation CEO Kristi Tacony Humes noted that Godare’s leadership qualities quickly rose to the forefront in her short time with the company. 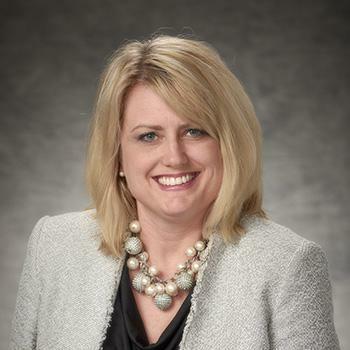 “As Vice President and as a member of the Tacony executive team, Nicki has demonstrated how much can be accomplished quickly on a roadmap both tactically and strategically to set the company up for both the short and long term,” Humes said. Humes pointed to Godare’s numerous contributions to the company’s human resources department, including adopting and implementing the ADP payroll system, a new performance management structure, benefits improvements, streamlining processes and creating management training and on-boarding programs. “Along with Nicki’s team, our Human Resource department continues to build upon the trust and partnership our company values stand for and desire for our employees with her vision,” Humes said. FEBRUARY 2019, FENTON, MO — Tacony Corporation has added two new executives to its technology team: Pam Jordan, Senior Vice President of E-commerce for the Direct to Consumer channel and Jayme O’Renic, Senior Director of E-Commerce and Digital Strategy for Nancy’s Notions located in Beaver Dam, WI. “Pam has the visionary leadership and excitement to drive digital sales and profitability, experience in managing strategic e-commerce partnerships and the ability to inspire and lead our current and future team members,” said Tacony CEO, Kristi Tacony Humes. Jordan brings almost 20 years of experience in digital marketing and e-commerce to Tacony from a variety of industries. She has implemented multichannel marketing and e-commerce strategies for companies including Anheuser-Busch Inbev, Nestlé Purina Petcare, Thomasville Furniture and New Balance. She has also consulted with Fortune 100 companies including Pepsi, Crate and Barrel, Nordstrom and Target. O’Renic will be responsible for driving the growth of the Nancy’s Notions brand through Direct to Consumer sales channels along with increasing loyalty of the Nancy’s Notions consumers. “Jayme’s experience in e-commerce and new customer acquisition will be invaluable to the Nancy’s Notions team,” Jordan said. 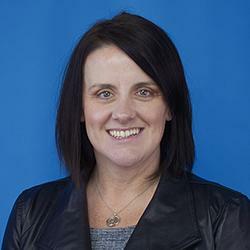 She comes to Tacony from OneSpace where she served as VP, Client Strategy. Prior to that, she served as Senior Manager of Digital Marketing at Build-A-Bear. Founded in 1979 after Nancy Zieman discovered her students shared her struggle to find quality notions and materials, Nancy’s Notions began as a one-woman mail order company that grew into a multi-channel retailer serving sewing, quilting, and embroidery enthusiasts around the world. To learn more, visit nancysnotions.com. 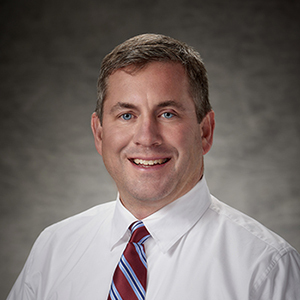 Wesolich comes to Tacony from Kent Corporation where he served as Director of Sales for their Nutrition Group and Regional Sales Manager for their Pet Group. 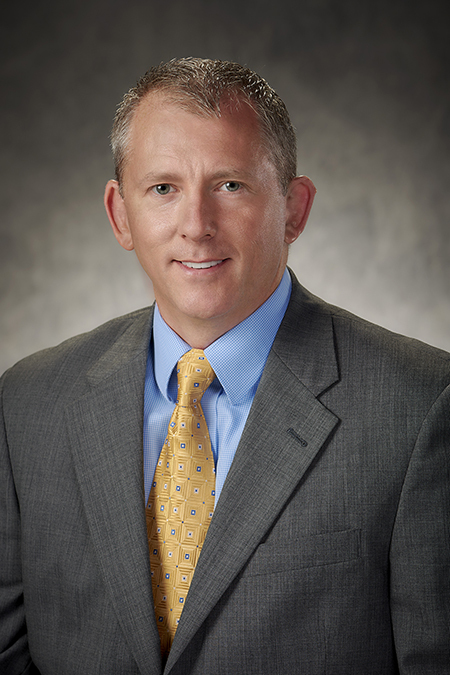 In his role at Tacony, he is responsible for driving independent retailer success, managing the Regional Sales Managers and fleshing out product development for Tacony’s sewing division. He will oversee Baby Lock, Koala furniture and other sewing product-related brands. "Pursue an ongoing responsibility to provide top-quality products to independent retailers." "Reach customers around the world while continuing to bring jobs home." If you have questions about Tacony Corporation or want to plan a visit, contact us via phone, email, or the message form here.